Vanishing Coral presents the personal story of scientists and naturalists who are working with local communities to protect coral reefs that are being destroyed by warming seas, pollution, and destructive fishing practices. Featured in the documentary is the President of the Biosphere 2 Foundation Abigail Alling, marine biologist and coral expert Phil Dustan, captain of the Mir research sailing vessel Mark Van Thillo, and Nono Suparno, a leading conservationist in Bali. 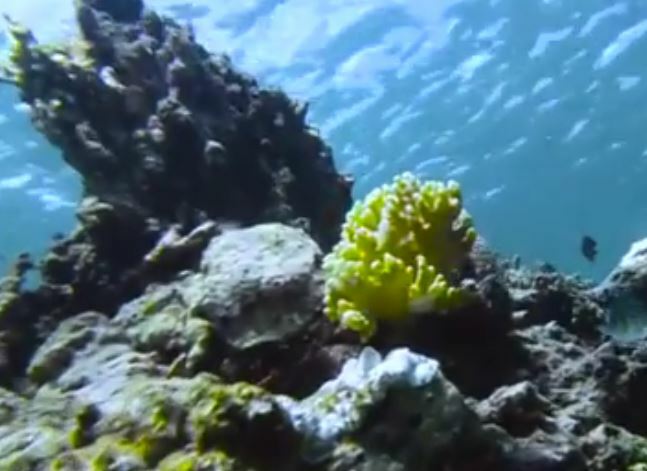 Vanishing Coral comes during a pivotal time when coral reef populations are declining at a rapid pace. In 2016, a warm spell attributed to climate change caused bleaching of one-third of the Great Barrier Reef along the eastern coast of Australia that is 5,000 to 10,000 years old. Reefs in the Florida Keys have declined by 80 percent over the past three decades and scientists warn that all Caribbean coral could disappear in the next 20 years. One of the most diverse and complex ecosystems on the planet, the coral reefs provide livelihoods, food and important shoreline protection in many regions. Though they make up less than 1 percent of the oceans, reefs are home to 25 percent of fish and other marine life.